(28.5 cm), 352 pp., illustrations, many full-page. Publisher’s quarter-morocco, lettered in gilt, with inlaid label on upper cover. 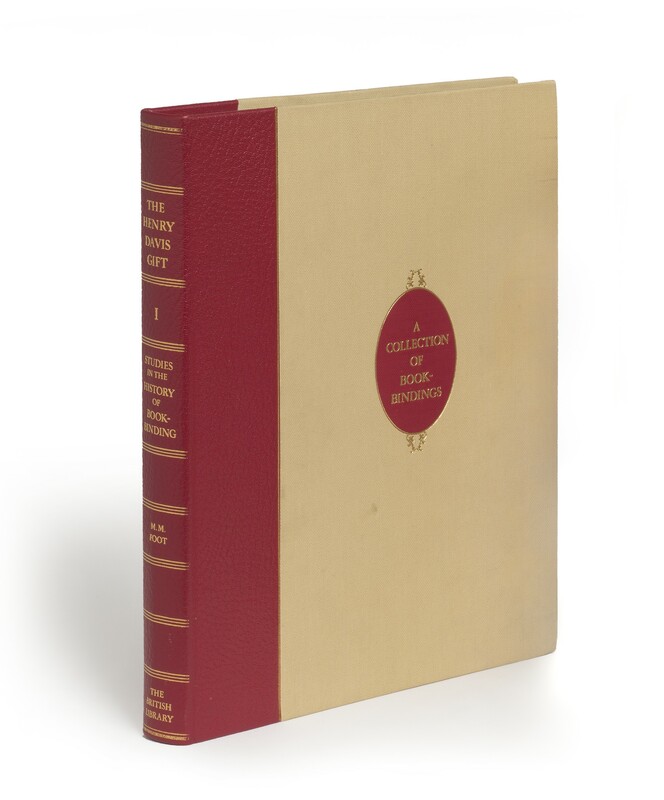 - A series of twenty-five studies, each built around bindings of the sixteenth, seventeenth, or eighteenth centuries from the Henry Davis Collection. Emphasis has been placed on bindings which have not recently been the subject of study. “In virtually every piece the author is able, on the grounds of her research, to make substantial amendments to earlier ascriptions… The breadth of her research and the particular thoroughness of her approach to her subject, especially in comparing tools, have brought Mirjam Foot to some results which are not far short of revolutionary, so that the dust kicked up by her book is unlikely to settle quickly. In Studies in the History of Bookbinding she has produced a classic work” (from the review by Jan Storm van Leeuwen, in Quaerendo, volume 11, 1981, pp.237-243). 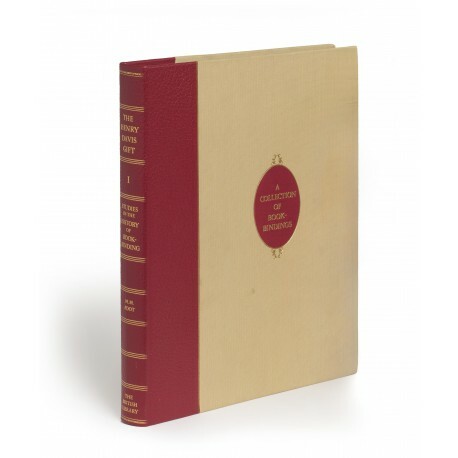 First edition, first issue, of this essential book (after the edition was exhausted, 230 additional copies were printed, and distributed in a cheaper, cloth binding). ¶ A few finger-marks on binding. Excellent copy.